I’ve developed a new way to help students get this concept right — and to remember the concept so they continue to get it right, week after week. I’ll explain the basic approach in this entry, then give more details in the next entry. 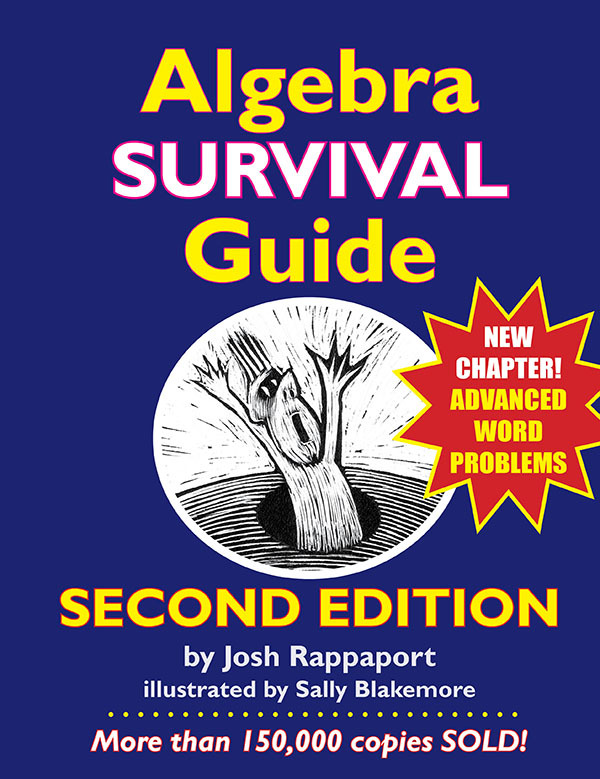 The big problem with the typical textbook presentation for this concept is that it is filled with math gobbledygook. I’ve found that you can cut out the gobbledygook and instead relate this kind of problem to everyday life. Once students learn it this way, they’ll never forget it! MAIN IDEA: encourage students to think of the negative sign as the as the everyday word, OPPOSITE. So start out by asking simple questions, but writing them in a pseudo-math format. while you ask: What is the opposite of black? Once students master this idea, extend the lesson to NUMBERS, first by pointing out that all numbers (except 0) and MONOMIALS have opposites. e.g., that the opposite of + 3 is – 3; the opposite of – 5 is + 5, the opposite of – 8x is + 8x, the opposite of 6ab is – 6ab, etc. Then simply explain that in math, we express the idea of opposite by using a “–” sign in front of the ( ), and that we write the terms inside ( ) without commas. I hear a lot of: “Oh, that’s easy,” when I explain it this way. I think that’s because opposites is a concept students know “cold.” Plus, using the opposites concept connects the algebra to non-math concepts, and students often find that refreshing. I’m sure you’ve noticed that, too.